Armed with a strong reputation and a longstanding career, Teryl is a firm believer of following dreams, no matter what the hope of financial success may be. She started out as a physics and math major while taking art lessons as a hobby. Discovering that painting was her real passion, she decided to refocus her career solely on her artistic endeavors, and, more than five decades later, has never regretted that decision. Over the years, Ms. Townsend has designed book covers and participated in one-woman shows at the Betty Barker Gallery, The Robert Rice Gallery, The Kirby Gallery, The Gallery Worth Avenue, and the Little Gallery, Nantucket, among others. She has also participated in group shows at the Veerhoff Gallery, The James Hunt Barker Gallery, and The Nantucket Association. In addition, she owned the Teryl Townsend Gallery on Nantucket from 1976 to 1988. Ms. Townsend/Viner prepared for her journey by completing coursework with renowned artists Chen Chi, Millard Sheets, Edgar Whitney, Carl Molno, Glen Bradshaw, Edward Betts, and Robert Wood. She also became involved with a wide array of prominent professional organizations, which ensured that she remained connected with her peers and any advancements in her field. She earned signature memberships in the American Watercolor Society, the National Watercolor Society, the Rocky Mountain Watercolor Society, and the Southwestern Watercolor Society. She was Vice President and President of the Houston Watercolor Society from 1974 to 1975. 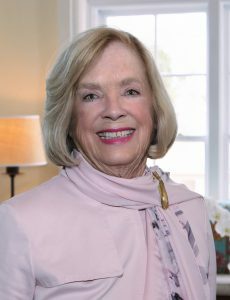 Further, she was an advisor to the Houston and Nantucket Chambers of Commerce on professional standards and ethics, and has served on the Board of Directors and the Executive Committee of the Nantucket Artists Association. In light of her tenacity, hard work and success, Ms. Townsend/Viner has received a number of accolades throughout her career. She won awards through the New Canaan Society for the Arts in 1995, 1996, and 1998 and earned first place at the Spectrum Exhibition of the Southwestern Watercolor Society in 1995. Additionally, Ms. Townsend/Viner earned merit awards from the Nantucket Artists Association in 1980, 1982, 1983, and from the Art League of Houston in 1983. She placed third in the National Small Painting Show in 1976, and was honored with the Century Award from the Rocky Mountain National Watermedia Society in 1974. Over the years, she has been featured in three editions of Who’s Who in the East and two of Who’s Who of American Women, as well as numerous Who’s Who in American Art volumes. ​When Ms. Townsend/Viner has free time, she enjoys serving her community. She was a member of the Community Board for Waveny House in New Canaan, CT, and a member of the Board of Trustees of the Museum of Fine Arts in Vero Beach, Fla. She has also served on several Church Boards over the years. Her hobbies include theology, philosophy and entertaining. After the attack of 9/11, Teryl has given all of her work to charity in an attempt to give back to those who lived so valiantly, and hopes to continue to do so as long as she is able. Wow! What an amazing couple!!!! If all people were like the Viners, what a wonderful world this would be! They certainly have done their part making our country much better! They are blessed but share all of their good fortune beautifully and God will reward them! As an artist who started painting at age of 60, a wannabe, I have great respect for Mrs. Viner’s artwork!